Enjoy a satisfying meal at Noorjahan Restaurant serving guests of Hotel Amar. Quench your thirst with your favorite drink at the bar/lounge. Make yourself at home in one of the 10 guestrooms. Wireless Internet access (surcharge) keeps you connected, and cable programming is available for your entertainment. Bathrooms with showers are provided. Conveniences include desks and complimentary newspapers, and housekeeping is provided on a limited basis. Enjoy a meal at the restaurant, or stay in and take advantage of the hostel's room service (during limited hours). Cooked-to-order breakfasts are available daily from 6 AM to 10:30 AM for a fee. 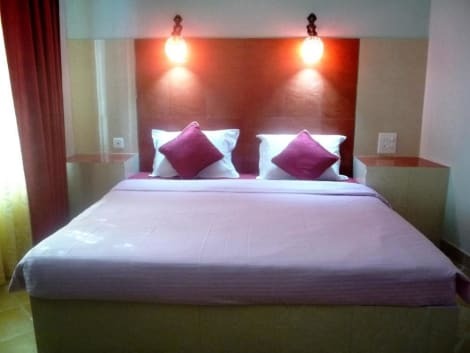 This comfortable hotel is situated in Agra. The premises count with 20 welcoming bedrooms. Those who dislike animals may enjoy their stay, as this establishment does not allow pets. Take in the views from a garden and make use of amenities such as complimentary wireless Internet access and concierge services. Additional features at this hostel include an arcade/game room, a television in a common area, and a reception hall. With a stay at OYO 8095 ARB Suites in Agra (Taj Ganj), you'll be within a 15-minute drive of Taj Mahal and Agra Fort. 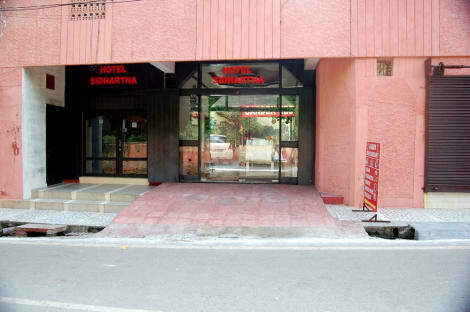 This hotel is 3 mi (4.8 km) from Kinari Bazar and 9.7 mi (15.7 km) from Sikandra. Stay in one of 12 guestrooms featuring LCD televisions. Rooms have private balconies. Complimentary wired and wireless Internet access keeps you connected, and satellite programming provides entertainment. Make yourself at home in one of the 28 air-conditioned rooms featuring LCD televisions. Complimentary wireless Internet access is available to keep you connected. Private bathrooms with showers feature rainfall showerheads and complimentary toiletries. Conveniences include complimentary bottled water and ceiling fans, and housekeeping is provided on request. lastminute.com has a fantastic range of hotels in Agra, with everything from cheap hotels to luxurious five star accommodation available. We like to live up to our last minute name so remember you can book any one of our excellent Agra hotels up until midnight and stay the same night.